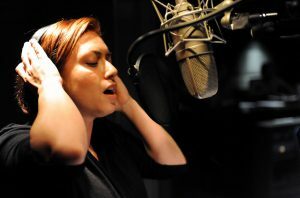 Traditionally, one of the most important purchases home-recording singers and songwriters made was an audio interface. Modern music has changed, with much of the hooks and musical phrases now produced by electronic instruments in-the-box. A growing segment relies on libraries and loops; so the ability to record real instruments isn’t a necessity to them. Dedicated singers and rappers who collaborate with other musicians or a producer don’t necessarily need an interface either. It’s substantially cheaper to merge the mic with USB technology rather than take the established professional route of plugging an XLR mic into an audio interface. It’s also easier to setup and less can go wrong with technical aspect as you won’t have to worry about channel selection, engaging phantom power, etc. USB mics are thought of as prosumer products, so truly high-end USB mics aren’t here, at least yet. 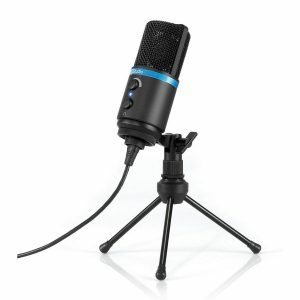 The value packed into USB mics by Blue, Audio-Technica and others is astounding. 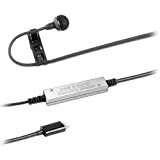 This makes USB mics the perfect choice for an aspiring singer looking to get his or her feet wet. Apple’s iPad and iPhone are now recognized as serious audio production tools. Now that iOS devices have able, multicore processors the trend is only expected to gain momentum. Top microphone manufacturers such as Blue, Apogee and Samson have jumped onboard; and quick changes from Apple have made it hard to keep up. At present you need a Lightning adapter to use an iPhone 5 or 4th generation iPad with any of the mics listed. While not perfect, it sure beats lugging a laptop around. 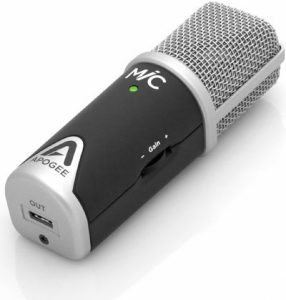 Like all Apogee products, MiC is exclusively made for Mac and iOS devices. This specialization has so far meant drivers and software work seamlessly with Apple’s gear. The big advantage this has over the others is 44.1/48kHz 24-bit analog to digital converters. This means studio quality sample rates rather than just CD quality sound. Nearly all other USB mics are presently 16-bit. While this is fine for YouTube videos and streaming, it makes sense to archive in hi-res and sample down if the content will be relevant in the future. 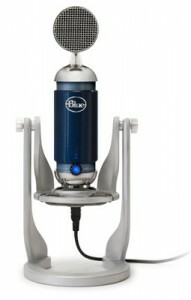 While Apogee is known for great audio converters and software, Blue is known for their great XLR and USB microphones. SOS praised the Spark for its “no‑nonsense, not overly‑coloured sound, robust low-end and capable vocal handling.” As expected the Spark Digital takes these qualities and adds direct compatibility with hi-tech devices. Some have complained about how USB mics tend to have a cheaper feel then their traditional, XLR counterparts. This definitely isn’t the case with the Spark Digital as its brother is analog, and components were added to bring it into the digital realm. 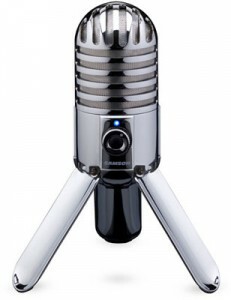 Not only does the Meteor Mic have vintage cool factor but it’s also a very good value. If you’re doing rough recordings, or doing podcasting rather than music, this may be enough for your needs. It’s a good desktop PC mic to boot. The Meteor records 16-bit audio at 44.1/48kHz resolution, which is currently the standard. While the sound quality doesn’t match that of the the MiC or Spark Digital, its a fraction of the price. If you’re just getting started and aren’t sure if you’re going to stick to making audio recordings the Meteor provides a starting point. This is more than a mic; it’s also an audio interface. If you’re a musician that could use an all-in-one device for travel or recording on location the ONE is definitely worth considering. It’s amazing that they’ve managed to pack so much functionality into such a small package. Although I was skeptical about the built-in mic due to the size, it turned out to be as good as a full-size, inexpensive microphone such as the MXL 2001. The downside is ONE has a reputation for being fragile. This is a concern if you travel and it’s recommended that you ensure there is plenty of padding around it in your bag. Mikey stands out from the rest because it connects directly to the iPad/iPhone connector. This is an advantage and disadvantage depending on how you look at it. If you’re a reporter type that needs to move around this solution beats all others. The downside is you need a Lightning adapter and this makes it tough on the Lightning or 30-pin port. It won’t replace a condenser mic in terms of quality but Mikey is good to have in your audio toolkit for certain applications. FiRe 2 software is great and features automatic compression so it balances very loud and quiet sounds on the fly. 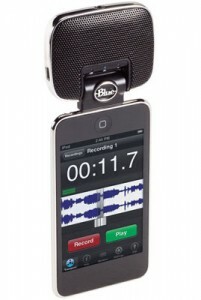 This can make the Mikey very handy for recording loud band rehearsals or concerts. Overall it’s a cool solution that turns and iPad/iPhone into a field recorder. Not long ago the idea of home recording was revolutionary. For the first time ever musicians were able to make impressive recording sans the hourly studio fees. The latest step in this revolution is increased interest in maximum portability. Why chain yourself to your desk at home when music can be captured virtually anywhere? Leading the trend Apogee has released JAM, and MiC: a guitar input and digital microphone, respectively, for iPad, iPhone and Mac. Before that the Duet and ONE made strides in the direction of increase simplicity and travel-friendliness. When I first got into recording over a decade ago I was bamboozled into believing the more flexibility and features the gear had the better. Experience has taught me just the opposite is true. 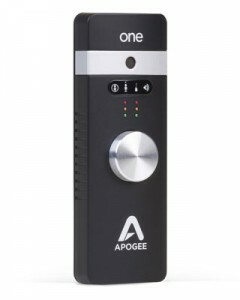 Apogee’s choice to make drivers only for Apple operating systems is a plus rather than a minus. In practice company’s have big challenges in keeping up with driver updates, and more supported operating systems leads to software development efforts being spread too thin. The Jam and MiC are incredibly specialized in their configuration and applications, taking this Zen-like product philosophy even further. While I love the Duet and originally picked it up to strip down my setup, ironically I’ve found it’s often more than I need for on-the-fly recordings and overdubs. The ONE concept is fantastic but again if I plan on spending an afternoon on overdubs the built-in mic is a wasted feature. What’s really great about owning both JAM and MiC is you can travel with only the tool you need to get the job done. For me, the more I can minimize production concerns, the better the performances are. Having only the features you need at your fingertips and eliminating the ones you don’t helps achieve. As multitudes of people carry an iPhone with them everywhere, the ability to pick up the JAM or MiC at the last minute is a groundbreaking possibility. In addition, the use of the touch screen on the iPad is amazing in a rehearsal situation while a guitar is strapped to your shoulder. 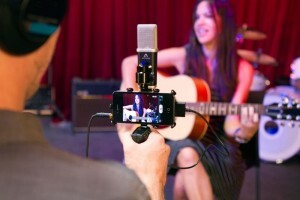 Finally next-gen devices can be used to produce professional-quality recordings. As this is just the beginning it will be fascinating to see where this leads Apogee and others. Pictured: Apogee MiC with Zacuto Zgrip.